It is no wrong in saying that music is indeed food for the soul. As a peaceful music can get you in a quite calm mood. While an EDM can make you thump on the dance floor! Whatever the genre, it all depends on the listeners. But to make each genre more delightful, a perfect companion is necessary. And in this case, the ‘perfect companion’ refers to earphones! Or else who can stay by your side even in the longest route, boring days, or just in lazy times other than your earphones! They are undoubtedly your perfect escape from any undesired or tiring situation. Just plug them on and dive-in to your own musical world. But, for experiencing this pleasant scenario do you even have the right earphone? As a wrong company can surely make your journey worse and worse. Although we all know that almost every smartphone nowadays comes within a pair of earphones. No suprise in that! But if you want to expand your music-listening experience in a budget-friendly way then this article is perfect for you! As there are so many offerings available in the market which will spin your head off. Not by the numbers, they are in but by the price, they come with! So, if you’re on a low budget and don’t want to rob a bank for purchasing a good pair of earphones then don’t worry we have saved you! As here is a list of 10 Best Earphones Under 1000 Rupees In India that will give you some of the best audio quality without burning your pockets! Note: The links mentioned in this article are from the time of writing this, so they can fluctuate a little from time to time. The Sennheiser CX 180 is probably the most popular pair of earphones in the below 1000 INR category and for all the right reasons. In fact, Sennheiser specifically launched this model for the Indian market, keeping in mind the average consumer’s audio palate and budget requirements. 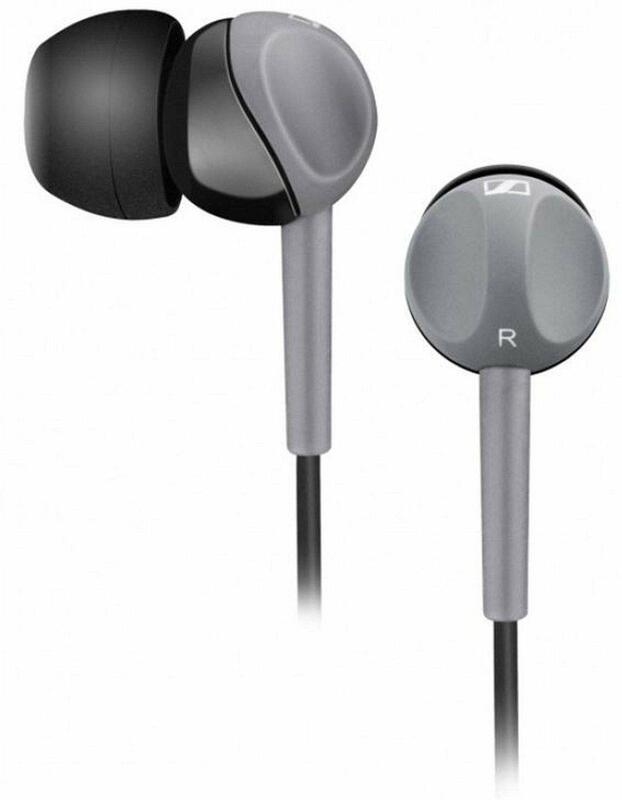 As these earphones are pretty lightweight and are comfortable due to the plastic build. This makes them longer lasting and durable too. But if you are a fan of fancy colors then you can face a little disappointment. As the Sennheiser CX 180 comes only in one greyish black body. But if sound quality matters to you more then the colors, then Sennheiser CX 180 is surely perfect. As it has a powerful bass and crystal clear audio within the given price range. Also, it includes a perfect in-ear–canal design coupled with the excellent noise reduction capability, so that your ambient noise doesn’t interrupt your listening experience. Apart from all this, the biggest down that Sennheiser CX 180 renders is the lack of a mic. So, if you’re someone who is habitual of making calls and then communicating with your headphones mic then do consider this point once. However, if you don’t make calls using your earphones, you should definitely try this one out as it sounds exceptionally well in this price range. Verdict: If you’re looking for a strong, durable, bass-driven sound signature earphone then do check out Sennheiser CX 180. Produce loud and clear audio. Reference and treble frequencies are muffled. It is no wrong in saying that JBL is a well-known name in the sound industry that makes high-quality products. That’s why it’s no surprise to see one of their products making this list. Extending with the sound quality, the JBL C100SI has nice bass as well as crispy vocals. Simply saying, that these earphones deliver some crazy bass for their price, and if you love base, you are going to love this one. Also, one of the best thing, the earphones fit perfectly inside your ears. As it comes with 3 different size ear tips that are really comfortable. As for durability, JBL C100SI uses a plastic casing instead of a metal one but they last long for a good period of time. Talking about the In-Ear Headphones with Mic, JBL C100SI uses a pair of 9 mm drivers which promise to deliver legendary JBL quality audio. Also, the inline mic has a button to accept and end the call. And it works with all the operating systems like, Android, iOS, Windows. The inline mic also features active noise cancellation, so the person on the other side will find it easier to listen to you. The wire is 1.2 meters long but it is not braided so may get tangled up. 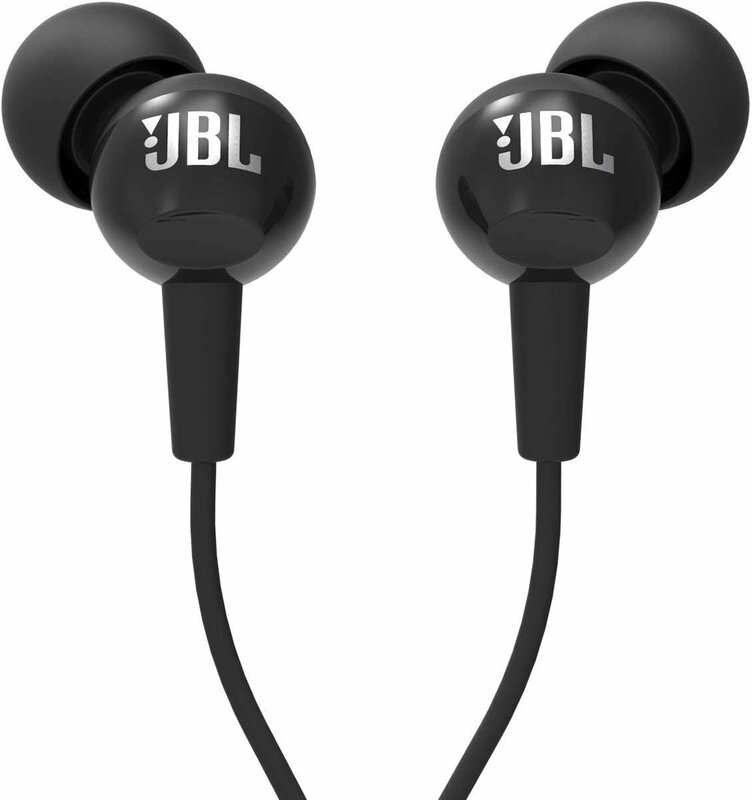 Verdict: The JBL C100SI is very lightweight and well-built earphone which look pretty good and offer pretty nice bass and some really nice audio quality. boAt BassHeads 225 in-Ear Super Extra Bass Headphones, as the name suggests is an earphone that is for people who love their bass to be high. As the earphones come with HD Super Extra Bass which is incredible within its price. Because the price range of this earphones is extremely low but the quality is superbly high. They are fully made with high-quality material including the cups, and the wire is made of metal which is also very nice and the best part, tangle-free! About the sound, the earphones also bring passive noise cancellation which makes them great for listening to your favorite songs or audiobooks in noisy environments. It is also packed with 10 mm drivers which deliver thumping bass-driven stereo sound. So, the overall sound output of this headphones is very high. And if you like EDM and pop songs, then you will surely love these Boat headphones. Talking about the design now, the polished metal gives an incredible look but is still lightweight. It also comes with L-Shaped 3.5 mm audio jack and Microphone which is again made up of metal. So, overall the design and built quality are excellent for the price what we pay. Verdict: The boat BassHeads 225 has a solid build quality, good performance, low price, and more important extreme Bass. Although Sony makes amazing earphones for the high-end market, they also make decent earphones in the budget segment. And Sony MDR-EX150AP In-Ear Headphones with Mic is surely one of them. As they are exceptionally light which means you will never find them uncomfortable, no matter how long you have been wearing them. And not just lightweight, but they will also easily fit in your ears, as these earphones have an ear-tips’ design. Talking about the wires, they are sturdy and the gold plated 3.5 mm jack along with metal casing for ear-tips feels quite solid. Also, it comes with plenty of vivid colors, with a shiny metallic finish housing. Now for the audio quality, the Sony MDR-EX150AP uses 9 mm neodymium drivers which delivers one of the best-balanced sounds. Also, the frequency ranges from 5 Hz to 24 kHz that will literally offer you the best details. And it is incredible to get all of it in this price range. The audio is crisp, detailed, and sure amazing. But if you are a bass lover, then you might miss the thump which some of the other earphones on this list bring. But bear in mind, it is not a downfall, as it packs enough bass to satisfy the average buyer, however, if you love your bass to be high, this is not the earphone for you. Verdict: Sony MDR-EX150AP In-Ear Headphones with Mic, is a great pair of earphone which not only gives the best sound but is also build very nicely. There are chances that some of you might have not heard the name of this brand before. But 1MORE is a new specialist headphone brand from California which has gained utmost popularity in the sound industry within the last couple of months. The reason being, this brand never compromises with their quality. As even being within the price range of below 1000 INR, they still manage to provide some of the best earphones. As 1MORE Piston Fit renders sound chambers which are made of a stylish looking aluminum alloy and feature a 45° in-ear design lending these the look of extremely high priced IEMs. The brand has designed these in-ears to look aesthetically appealing to the eyes and we have to admit, they have done a brilliant job. Also, even with the heavy work, the earphones weighs only 14 grams, which is similar to other earphones on the list. The lightweight nature of these earphones makes sure they are comfortable and durable. Now coming to the sound, the earphones are powered by powerful 10 mm drivers which promise to deliver good sound quality with super extra clarity and bass. Also, it renders decent audio balance and performs fairly well at 70 percent volume, which is the average of most listeners. For the mic, 1MORE features a one-button remote and microphone, letting you answer calls and also to control your music. The earphones are available in assorted colors, like Deep Space Grey, Clear Lake Blue, Galaxy Silver, and Rose Pink. 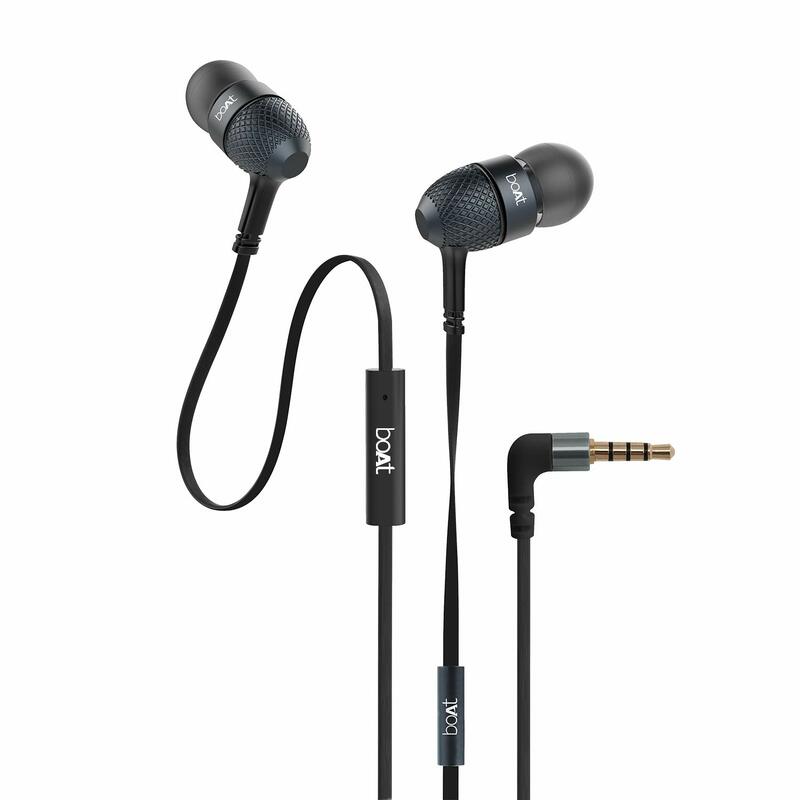 JBL is a company which is famous for its audio devices, and they make some of the best earphones in any price category. So, it is no surprise in seeing two of their products making on the list. 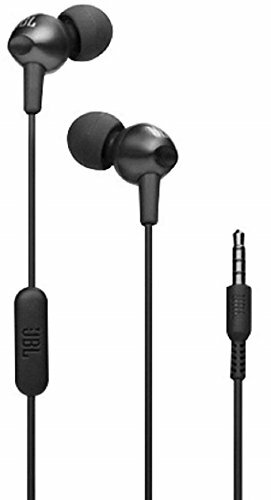 As for the JBL C200SI in-Ear Headphones with Mic, it is a great pair of earphones that comes with superior JBL sound with bass you can feel. The earphones are light-weight and comfortable and fit perfectly inside the ears. As it comes with 3 sizes of ear tips which will give you the most comfortable listening experience even for a longer time. For the looks, the earphones come with a metallic spray finishing which gives a unique and textured look. Talking about the mic, the earphones come with a one-button universal remote for the mic. As you can answer and manage your calls effortlessly with the touch of a button. And it works for both Android as well as iOS. Also, you get 3 color variants that are all under 1000 INR. Verdict: JBL C200SI in-Ear Headphones with Mic is a great pair of earphone, with stylish looks and great sound quality. 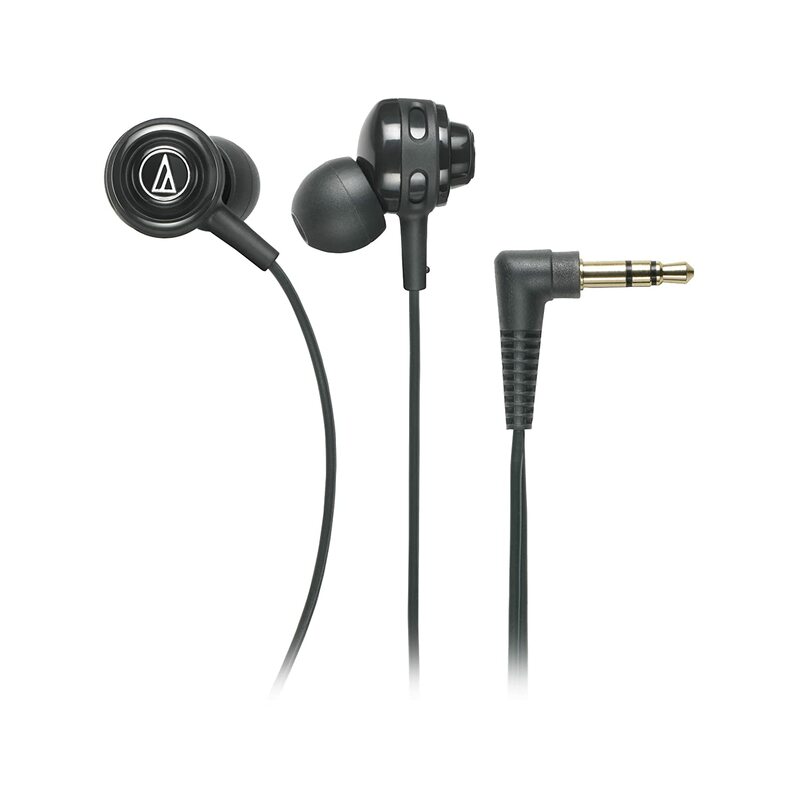 Audio-Technica ATH-COR150BK In-Ear Headphones is another great earphone that can produce an impressive bass response. Core Bass offers full and heavy tones for rock, electronica, and bass-driven metal, without sacrificing the audio clarity. Also, these advanced fit-in earphones come equipped with snap-on, snap-off ear hooks for the latest word in comfort and wearing stability. Snap them on if you prefer an over-the-ear cord-fit which keeps the Core Bass phones perfectly in place in the gym or out and about, regardless of your activity level. Snap them off if you prefer a more traditional fit, with the cord resting in front of the ear. Extending this, the cord wraps easily, making it free from tangles. Also, one of the best parts about these earphones is that they come with a plastic rolling case which allows you to easily store and carry the earphones without tangling the wires. As said earlier for the sound, it gives a fully textured bass with immersive sound and excellent detail resolution. And the earphones comes packed with 8 vibrant colors suiting to everyone’s choice and preference. Verdict: The earphones are lightweight, nicely built and are stylish too, which surely makes them a great competitor. Build Quality of wires are not too great. House of Marley might not be a popular brand in India, but it is a well-known brand in places like the US and the UK. The company mainly concentrates on audio products and makes some of the best sounding earphones in the market. Also, the Smile Jamaica EM-JE041-DN is undoubtedly one of the most unique looking earphones on this list. 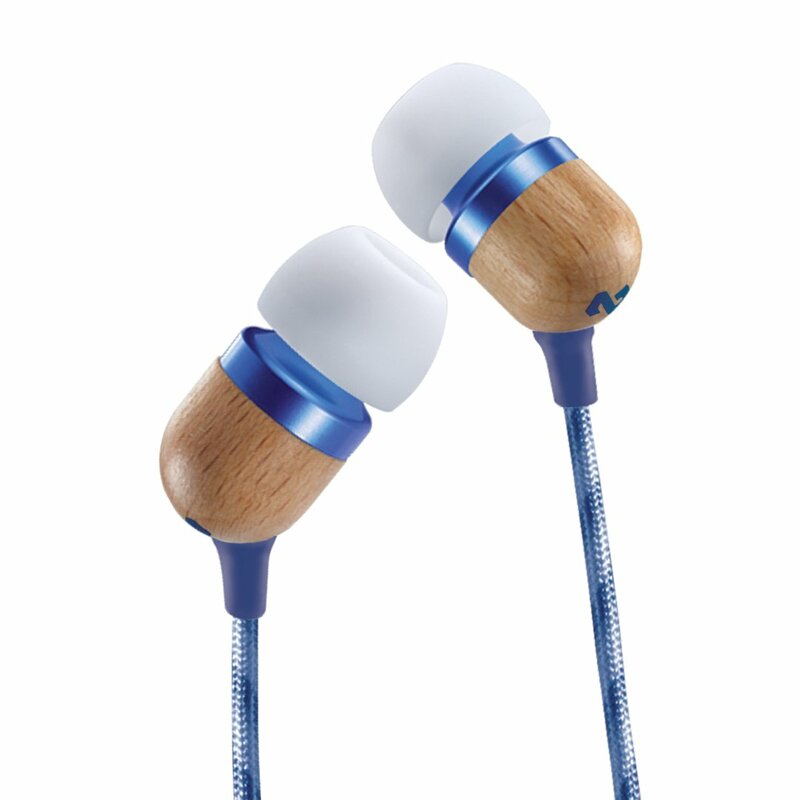 As they have a multi-color braided cable and drum-shaped earcups that features a wooden finish! Apart from the looks, the earphones also provide an incredible audio experience. As they use a pair of powerful 8 mm moving coil drivers to provide a clean and crisp sound with powerful bass. Also, these earphones have powerful sound frequencies that range from 20Hz-20kHz, making sure you get high and low music with sharp precision. As for the mic, you can accept and also end the call by using the button on the mic area. Also, the earphones come with a 52-inch long fabric cord that reduces tangles and is specially engineered to cut down on static so you get the best possible sound. Verdict: If you are bored with your commonly designed earphone, they do try Smile Jamaica EM-JE041-DN to spice up your game without losing on audio quality. Xiomi is a company which is famous for making quality products at very affordable prices. Be it their smartphones, power banks, TV, or even the main earphones. Everything comes with great quality and style. 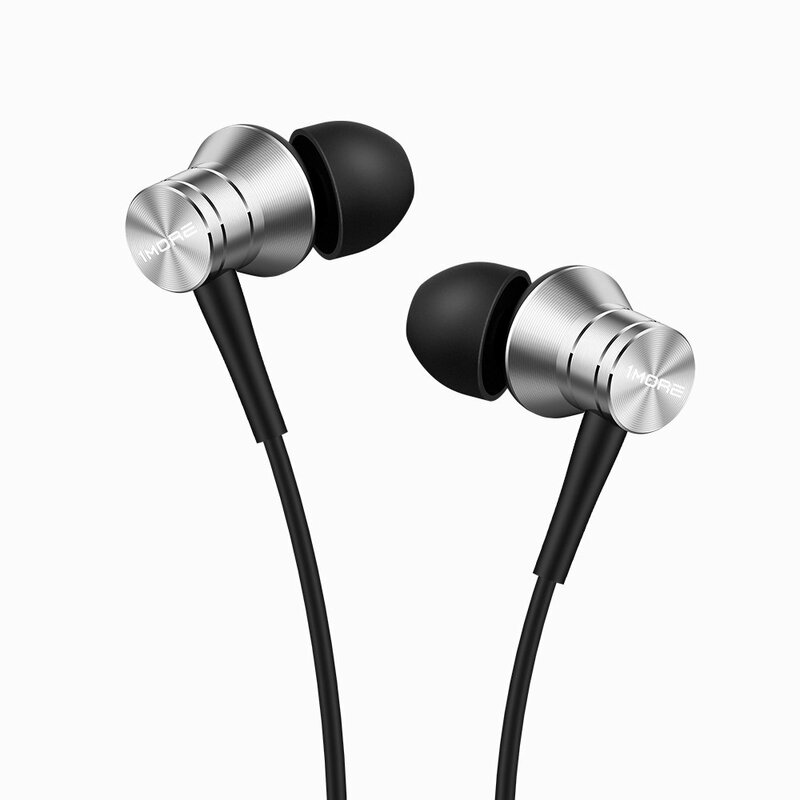 Now, extending with Mi earphones, they are surely one of the best earphones that you can buy in this price range. The first and foremost reason being, their extremely low price but with maximum quality and detailed finish. Also, they are very much comfortable, as the package comes with two extra pairs of buds that fit inside of your ears properly. Now for the sound quality, the earphones pack dual 10 mm drivers which will deliver incredible sound to your ears. Also, the base frequency is a bit more emphasized which most people actually like. But bear in mind, it is not a heavy bass earphone, but is just a bit emphasized for a pleasurable listening. The mids are very clean and louder, could have been a little better but considering the price can’t complain. The piece also comes with an in-line mic which houses a play/pause button which also lets you answer and end calls, along with dedicated volume up and down buttons. And the earphone comes with two colors i.e. silver and black. 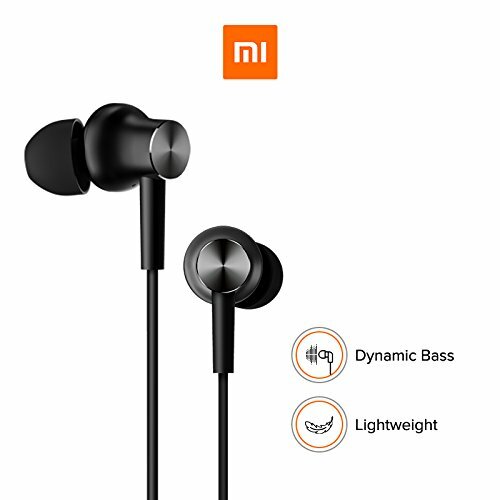 Verdict: If you are on a tight budget and don’t want to spend much but also want good features then you can go for this earphone without a second thought. Panasonic has always been a well-known name in the world of electronics. 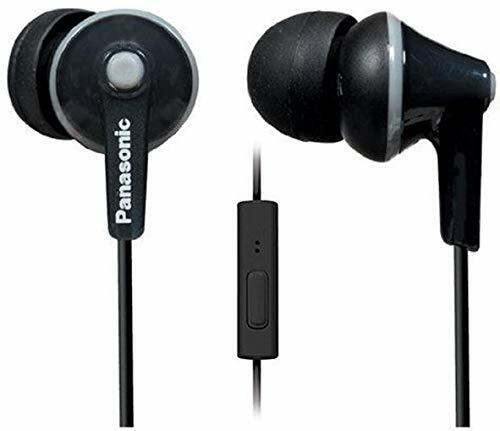 And the Panasonic RP-TCM125 Ergo Fit headphone is just a perfect example of their brand’s trust. As these headphones are a perfect combination of style, comfort, and most of all high-quality sound. For the comfortable part, the headphones come with 3 set of soft earpads (S/M/L), that will surely not slip out from your ears. For the sound quality, the headphone renders a large 9mm driver with neodymium magnets along with a wide frequency response. And smart ergonomic fit delivers dynamic, crystal clear sound while helping to keep out unwanted outside noise. The headphone also comes with a mic and in-line switch that lets you seamlessly switch between calls and music with one-touch ease. And it is compatible with Android, iOS and Blackberry devices. As for the color, you get a variety of options, with color-matching earbuds, audio cord, and controller. Verdict: At the given price range the sound quality is great and plus it has all the style factors. So, here was the list for the 10 Best Earphones that comes under 1000 Ruppess in India. Which means, now listening to good music will not make a hole in your pocket. As all of the above earphones comes under 1000 INR and are the best in their category. Also, in many of them, you will also find extra earbuds that will fit properly and comfortably. Also, don’t worry about the sound quality, even though the prices are low but these earphones do exceptionally well within their range. Be it different colors, great and unique design, or the sleek built, you get everything in the above list. So, what are your favorite earphones in this range? Do let us know in the comment box below. And if you find this article helpful then do share it on social media with your friends too. Great list of best earphones under Rs.1,000. I would like to add one more recommendation to this list for someone who are tight on budget, which is SondMagic ES18S. It is a great pair of value for money earphones. It sounds great for the money you are paying (Cost only around Rs.600). Anyway, great list of earphones! 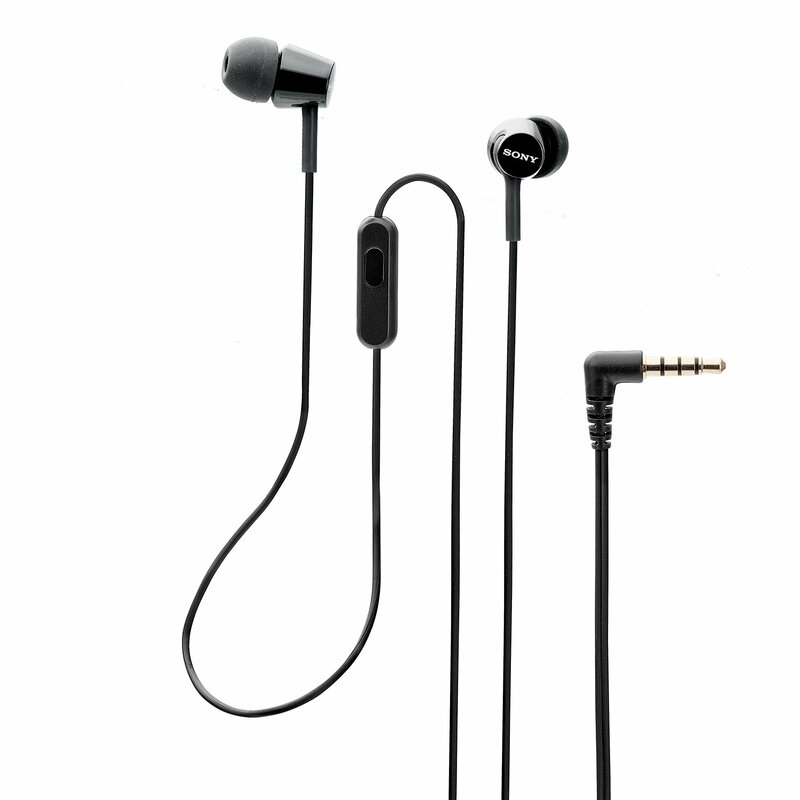 Finding Budget earphone is not an easy task, as Lots of option available in the way, means more confusion. Well, everyone has a different choice, some prefer Sound Quality, Bluetooth Headsets, Wireless and some prefer more bass. Considering the price and the features they come with, all the ear-phones in this list are amazing. JBL is my personal favourite and their C200SI version looks simply stunning. Thank you for sharing. It’s good to see so many affordable earphones in under 1000. Loved the collection.